Beth Amine is the owner of Joyous Movement and Beth Amine Design. 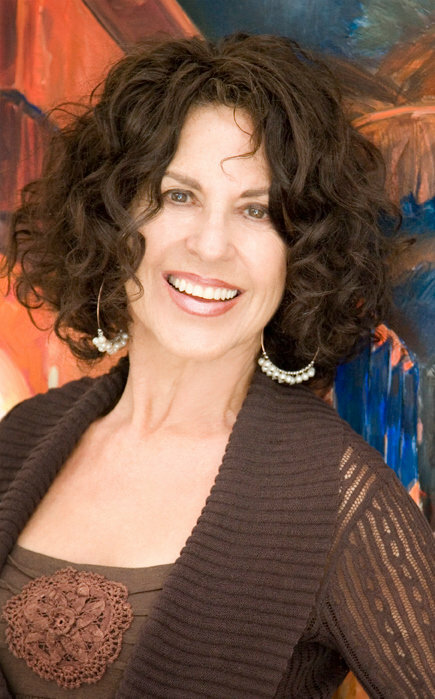 She is a Southern California native, and has been influenced by the color and multi-cultural dimensionality of her “homeland.” Host of Empowering Women TV Santa Barbara and one of the contributing authors and artists to Matrika Press’s Women of Spirit series. Beth has been dedicated to self expression in the arts for over four decades. She has created hundreds of commissioned works and paintings, as well as consistent dance performances and teaching. Her passion for personal exploration has led her to create formats in both the visual arts and movement that allow anyone, and literally anyone, from an autistic child, to a patient with Alzheimer’s, to a stressed executive, to experience the joy and well being that comes from expressing and connecting to ones internal life. She has released several DVDs demonstrating the work she so loves. It is her greatest pleasure to share these delights with everyone. Her specialties include:Educational Formats for the integrated arts, visual and movement, allowing anyone to access their inner life and joy. Dance performance. Belly Dance. Public Art. Painting. Inspirational images and words. Twinkle hosted Beth’s Shrine-Making workshop in San Diego while she was on sabbatical in California.